We arrived in time to be ushered into a meeting of a rural Vietnamese women’s club, just outside of Hue. Discussion among the 75 single women was animated, self-assured, and clearly engaged. Members listened to each other, respected what each had to say, and evidenced not one iota of shyness even though their discussion of women’s health, environmental, and other immediate issues was being observed by eight American guests and a Vietnam Women’s Union official from Hanoi. We had already been to a briefing at the Center for Women and Development’s new building, and the Women’s Museum in Hanoi. We had visited Peace House, a shelter for Vietnamese women victimized by sexual trafficking, part of the CWD project to provide shelter, training, and advocacy for women victimized by domestic violence or sexual trafficking. All of these venues — the CWD, the Women’s Museum, the rural single women’s club, the Peace House shelter project — were part of the national activities of the Vietnam Women’s Union. The VWU was clearly well-organized at the center, clear of purpose and commitment, and connected to regional and local bodies of women throughout the country. Our introduction to the VWU was part of a 14-day educational tour of Vietnam in March, 2011 organized by the Committees of Correspondence for Democracy and Socialism (CCDS) and hosted by the Vietnam Women’s Union. In addition to our request to receive information about the VWU, we expressed interest in briefings on the Vietnamese policy known as Doi Moi, or the social market economy, and the lingering long-term impacts on the Vietnamese people of the 10-year use of Agent Orange during the American war. These issues and more were covered on our travels, briefings, museum visits, and conversations with Vietnamese people. The focus of this essay is the VWU. 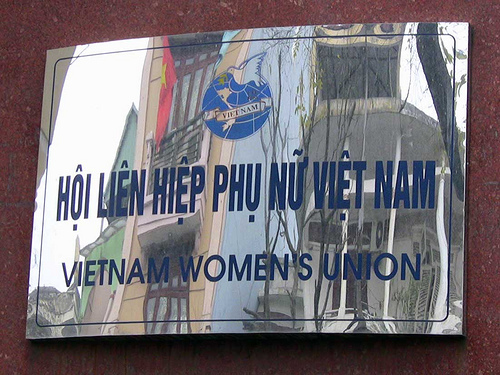 The Vietnam Women’s Union, one of six major mass organizations in the country, was founded in 1930 just before the Indochinese Communist Party. In socialist theory and practice, mass organizations are designed to mobilize major populations who require and are committed to social change in their societies. While their ideas and programs parallel those of local Communist parties, they are committed to meeting the needs of workers, women, youth, farmers, war veterans, and others whether they are members of political parties or not. 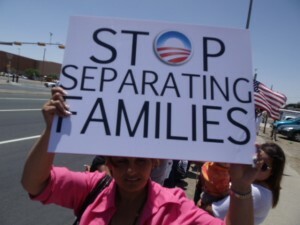 Also effective mass organizations require both leadership and authentic and active participation from the grassroots. 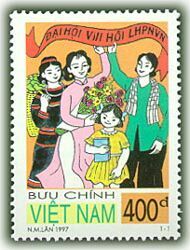 Levels of organization of the Vietnamese Women’s Union consist of a National Congress, a Central Executive Committee, a Presidium and provincial, district, and communal organizations. The VWU has 16 departments including communication and education, family and social affairs, international relations, ethnic and religious affairs, law and policy, and departments overseeing museums, a newspaper, and publishing. Our tour was organized by one of the departments, Peace Tours. The VWU emphasizes organizational tasks ranging from supporting and building women’s skills and autonomy at the local level to greater political influence at the national level. The commitment to goals which were identified as critical for the recent period, 2007-2012, were reflected in what we saw. 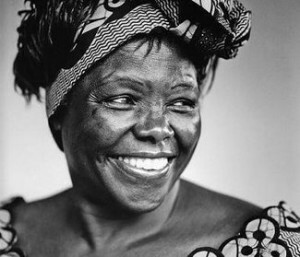 These included raising women’s consciousness, knowledge, and capacity, promoting gender equality at all levels of society, promoting economic development, building the VWU as a national organization, and building networks of relationships with progressive organizations around the world. VWU is truly a mass organization in the best sense of that term. It carries out policies representing the interests of a large percentage of women in Vietnamese society at all levels–from the rural commune to the nation. A fundamental component of all VWU work is the belief that there is dignity in each member. Each Vietnamese woman has the right to fulfill her life to the full limit of societal resources and to be an active agent in that fulfillment. Government, party, and mass organization, all have as their uppermost obligation serving the people. This means that these entities continue to struggle to overcome class exploitation, gender oppression, and racial and ethnic discrimination. Several of the tour participants only partially in jest wondered if progressives in the United States could hire Vietnam Women’s Union organizers to help us reorder institutions and policies in the United States. 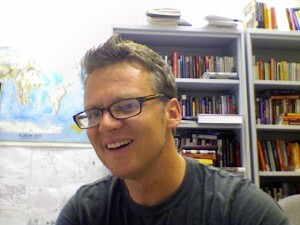 Harry Targ teaches foreign policy, US/Latin American relations, international political economy, and topics on labor studies in a Department of Political Science and a program in Peace Studies. He is a member of the Committees of Correspondence for Democracy and Socialism (CCDS), the Northwest Central Labor Council (AFL-CIO), and the Lafayette Area Peace Coalition (LAPC). 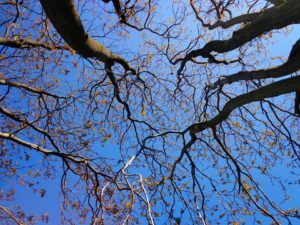 This article originally appeared on his blog, Diary of a Heartland Radical, and is reprinted here by permission. More information on the Vietnam Women’s Union can be found at http://hoilhpn.org.vn. I am reading a powerful book, on the roll women played in the Vietnam war. I as an American women ; I relies that we think and are also judeing women around the world, not knowing there hard ships’ and sacrifice for American women I ask for your forgiveness.